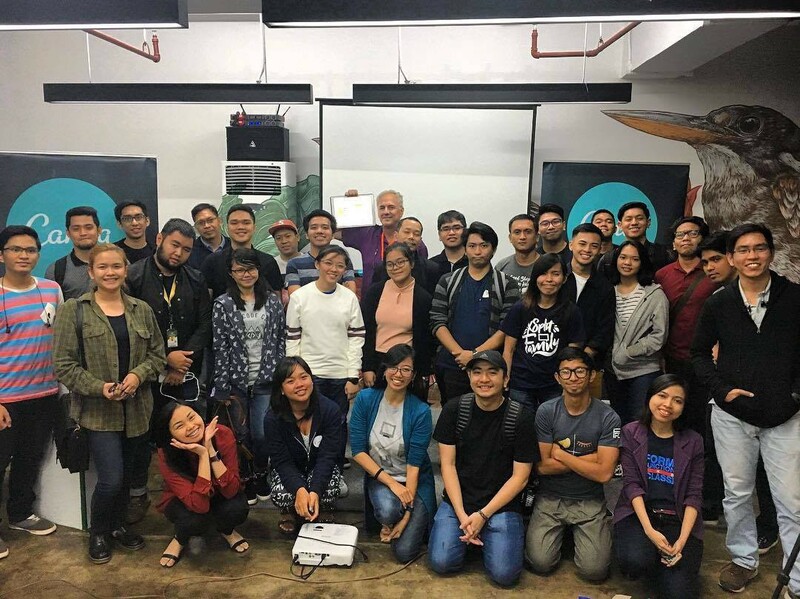 On January 8, 2018, the Philippine Web Designers Organization had its first MiniFFC of the year at the Canva offices in Makati. MiniFFC #45, like other MiniFFCs that we’ve had before, was a chance to meet with some of the industry’s leading Filipino web designers and developers, by sharing their knowledge and wisdom for our local community, both students who aspire to be in the field and professionals who are already in the field honing and nurturing their focused crafts. The meetup had two main sessions: Tables on the Table and Designing your Own Story, and an impromptu talk from Canva. First off, Kit Valmadrid welcomed the audience with an introduction to the Philippine Web Designers Organization. Starting off our meetup was our very own Sarah Cada, discussing Tables on Tables. She revisited her original MiniFFC talk in 2008, which explained why we should make the switch from table-based layouts to CSS. Originally, tables were created only to display data in a tabular form, to make it look organized. With a new approach, CSS would be far more effective, given its flexibility and modern look. Sarah showed us different CSS basics that gave us different options on how to execute this. Then we had an impromptu with Kathleen Cuevas, a web designer and developer for Canva giving us an overview on what it’s all about, showing us all the features that the product that Melanie Perkins developed. This online tool to helps people design materials for their business or other media platforms that need marketing and promotion. Kathleen also gave a talk about the hows and whys of prototyping. During the break, Canva offered us a lovely buffet-style dinner for our members whom have all come from different places in the Metro. James Cabrera, currently a design director for Gimlet Media and based in the Greater New York City area, taught us how to Design our Own Story through the use of User-Centered Visual Design. He emphasized that each design has a story behind it. Technology rooted in visual story-telling is proving to be a necessity to convey information throughout the world given the current social media age of instant gratification. James taught us how to always consider the information that needs to be delivered, and to nurture our individual creative processes in order to produce a high-quality, authentic design. The event closed, of course, with snaps and smiles. MiniFFC #45 was a great way to kick off the new year! Follow us on YouTube for more videos of our events. Check out our upcoming schedule for MiniFFC this 2018 at mini.formfunctionclass.com! Words by Val Michael Suarez. Edited by Sophia Lucero.